— to be used for guild newsletters, etc. Elizabeth Rosenberg, The Quilt Whisperer, uses her sewing machine to create art from fabric and thread. Her carefully crafted, award-winning pieces feature abstract images of flowing lines inspired by the world around her. She lives in Aquebogue, a village on the beautiful north fork of Long Island, New York, with her husband and her little chipin (a chihuahua/miniature pinscher mix,Topolina (the Italian word for Disney’s Minnie Mouse). 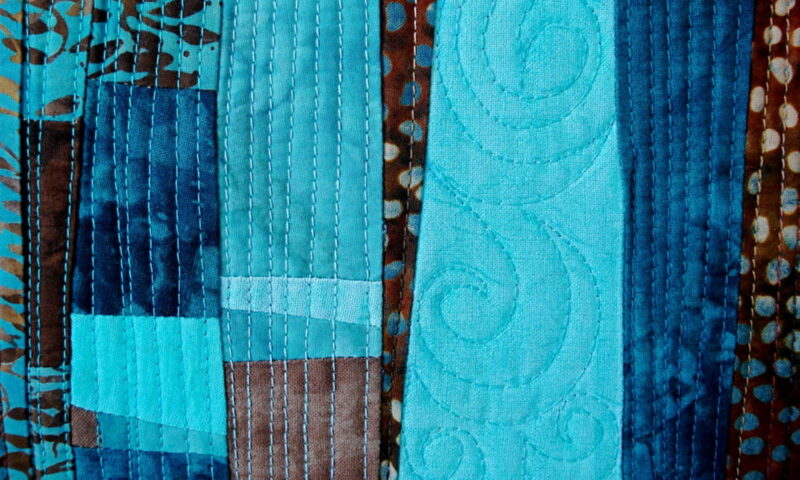 Subscribe to The Quilt Whisperer newsletter!